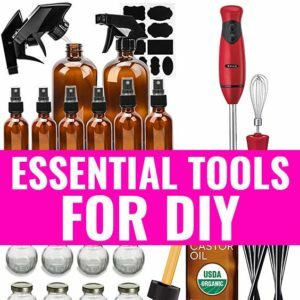 DIY Vegetable Glycerin Face Moisturizer for Oily/Acne Prone Skin - beautymunsta - free natural beauty hacks and more! 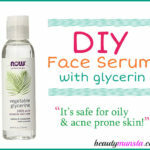 Learn how to make a DIY vegetable glycerin face moisturizer for oily/acne prone skin types! If you’ve got oily or acne prone skin, I totally understand why you’d fear applying oil/butter based moisturizers on your face. 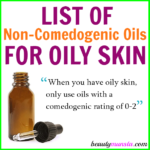 Most of them clog your pores up and leave you looking greasy. Not to mention, they can lead to breakouts! There are some water-based face moisturizers out there in the market, but of course they come with a slew of other unnecessary chemical ingredients. These added ingredients end up drying your face. 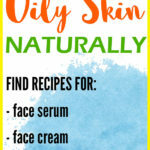 And this makes your skin go into an overdrive producing more oils which end up making you a Grease Face. Ugh. Not to worry though, you can DIY your own water-based face moisturizer, which is sure to keep your skin moisturized without drying it up! Welcome this DIY vegetable glycerin face moisturizer! Read my post on 20 Beauty Benefits of Vegetable Glycerin for more juicy info! Into a bowl, add the aloe vera gel, vegetable glycerin, argan oil and lavender essential oil. Stir everything together using a whisk till you get a well combined mixture. Pour the mixture into your disc top dispenser bottle using a small funnel. Ta-da! 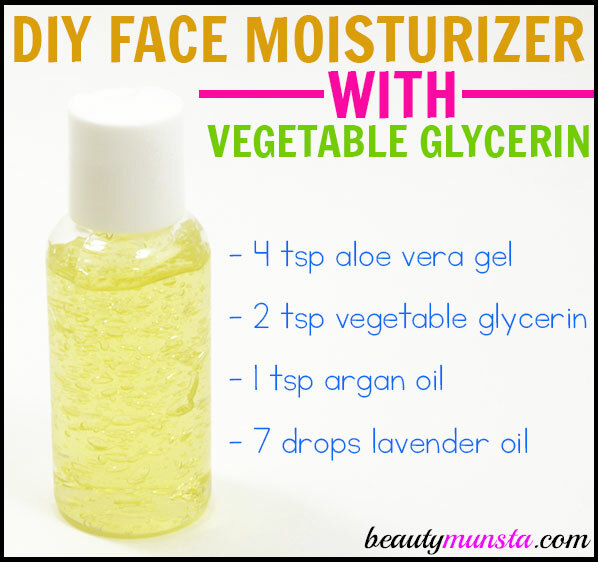 Your DIY vegetable glycerin face moisturizer is ready! Store in a cool dry place. To use, press a little onto your palm, rub both palms together and apply on your clean face. You can use it after toning. 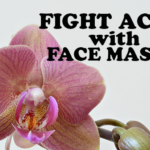 For best results, use it right after washing your face when your skin is still wet, then pat dry. This will seal moisture right in! 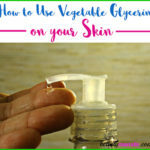 Hope you find this DIY Vegetable Glycerin Face Moisturizer Recipe useful! Come share your results xoxo!